On the run up to Christmas we took an unusual decision for a radio production company. We actually used the medium we recommend every day to convey a festive message to our customers, suppliers and the folks we’d like to be working for. Yes, we advertised on the radio. We put our money where our mouth is. And here’s the funny thing. While we knew it was a great ad, played on the right stations with a nice accessible schedule, and it was supported by lots of social media – we were still taken aback by some of the unprompted responses we got from it. ‘F***king Brilliant!’ said one senior agency director. ‘@GetCarterRadio I believe!! LOVE your gift to us all- thank you!’ said a supplier. And a big-spending client who had been elusive (to say the least) for 11 months, by-passed his marketing team and called up to brief us in person. I think the slight bemusement on our part was probably down to just HOW effective this modest campaign had been. 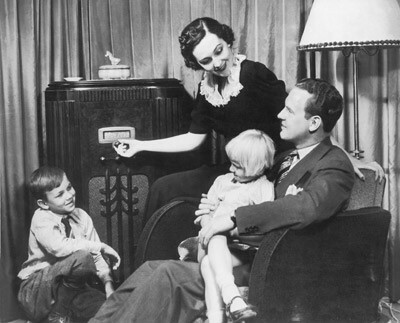 But if we look back to some of the recent successes we’ve witnessed in radio advertising, is it really surprising? And we have official stats from the Radio Centre that tell us advertisers get ‘nearly £8 back for every £1 you spend’. So I guess we shouldn’t be surprised. Instead we should be celebrating the fact that if you combine a fantastic advertising medium with realistic briefs, advice born from experience, excellent copywriting and great production values – you really DO have a form of marketing you can believe in.